Brush up on your fashion history! When it comes to prints and patterns, the familiar Breton stripe is about as classic as it can get. It transcends season, age, and even occasion, though you might have a hard time pulling it off in a formal setting. Nevertheless, when we want to look polished but are truthfully lazy AF, we know what to reach for. 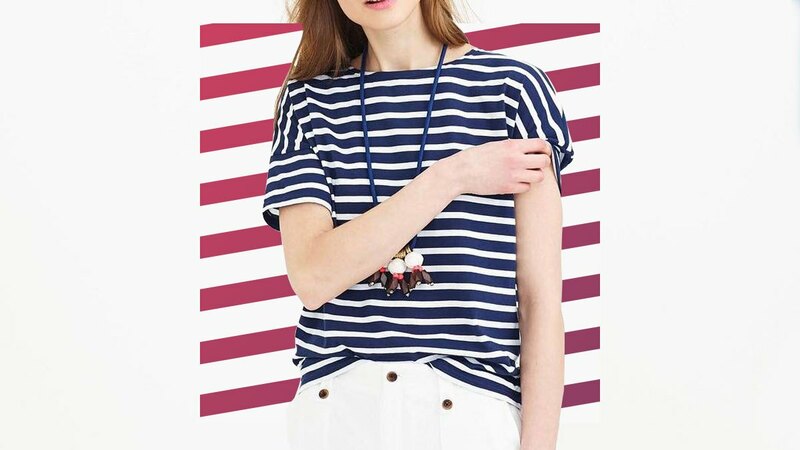 And given how tamad we usually are when we wear our striped tops, we definitely didn't notice this interesting detail about the timeless style: It has exactly 21 stripes—if you have the original in your hands, that is. According to Marie Claire UK, the wardrobe staple we now can't live without has its roots in the French navy. It came into existence in 1858 as a uniform for sailors and "was typically cotton with blue stripes, a design which made it easier to spot a sailor if he went overboard." So why 21? You can thank Napoleon Bonaparte for that—each stripe represents one of his victories. Recall this bit of information the next time you pull on a striped top, which probably comes pretty often.